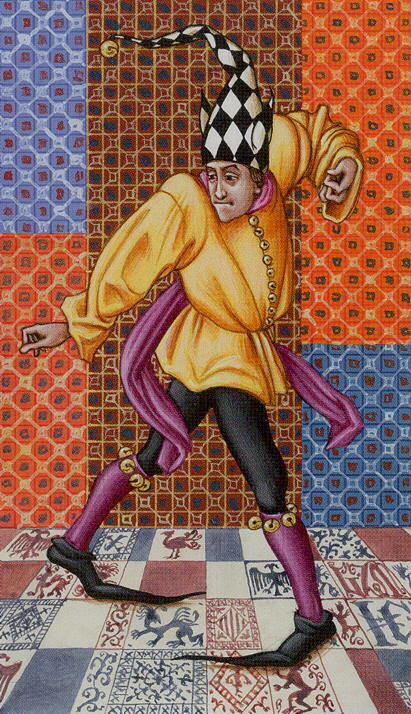 The Medieval Tarot by artist Guido Zibordi Marchesi (creator of the Giotto Tarot and Breugel Tarot) is a generic deck of the Middle Ages in scene and costume. The imagery is rich, textured and vivid in color without being garish. The detail is ideal, not overwhelming. The scenes are simple but not cluttered.